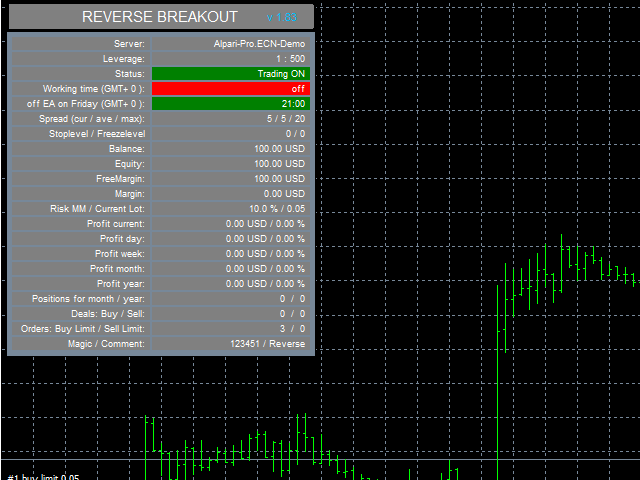 The strategy is based on a reverse breakout, it trades using pending BUY LIMIT and SELL LIMIT orders. Magic — ID of EA's trades. Order Comment— a comment to the EA's orders. disable trade if spread high — disable trading for some time (from 5 minutes to 24 hours) if the average spread exceeds Max_Spread. Fixed_Lot — fixed lot if Use_Risk_MM = false. Use_Risk_MM — when set to true, lot size is increased together with account balance increase. Breakeven_Target_PipsInp — When price is above this value, breakeven triggers (-1 = off). Risk_Protection_on_slippages — if set to true, the EA applies position closure in case of a slippage. Adaptive_Trailing_to_slippages — if true, an adaptive trailing stop is used. Show_Info_Panel — true - show information panel, false provides faster testing in the Strategy Tester. Use time — when set to true, trades in certain time intervals. Grate EA , It works well, On real Spread works as SL-Spread , it means "EA Revese Break out" is easy to be touched to SL and to be loss. But if use Inverted copy tool , This EA change to be profit EA, Spread works TP-Spread , if spread is big , it easy to be at tp. Copy tool by https://www.fxblue.com/ you should set like bellows. ON EA REVERSE , TP=30, SL=30.. EURUSD 30MIN. you can get 100USD-300USD every breakout. 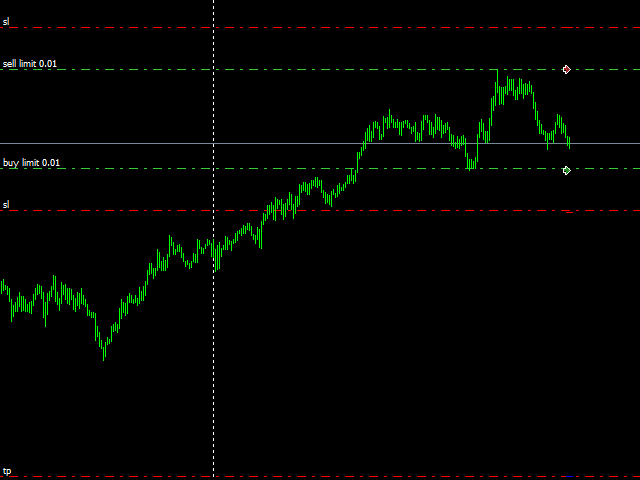 Maybe other bigger Spread pair is easy to be Profits.